Dreamscape Gardens is a multi award-winning landscape gardening company with full BALI accreditation. 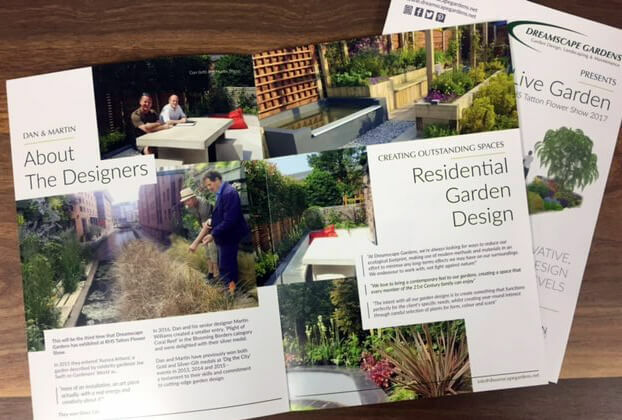 Providing a range of services including garden design, landscaping and garden maintenance for your garden, as well as offering almost anything in between. 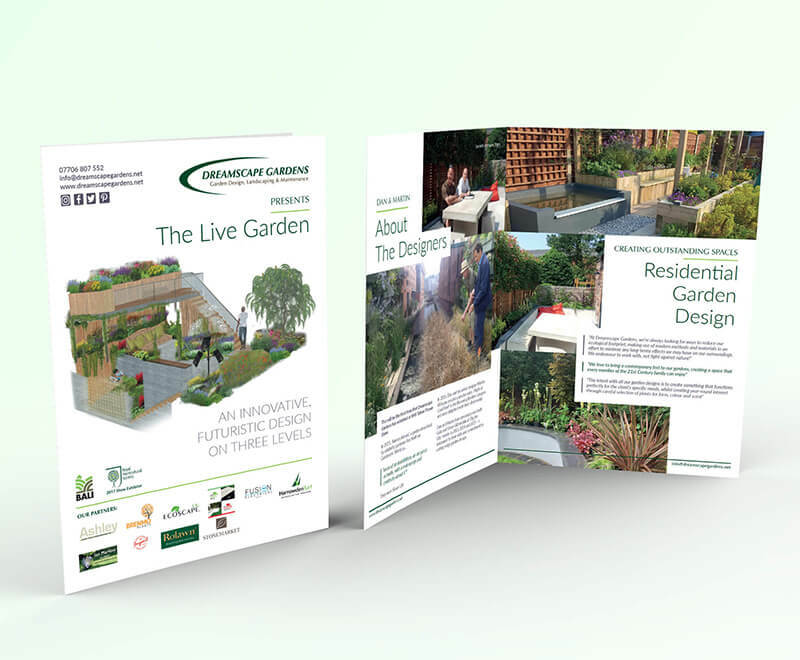 In 2017 Dreamscape Gardens were going for gold at RHS Tatton with their 80M2 ‘LIVE GARDEN’ in the ‘Future Spaces’ category. The entry was an innovative and exciting, ultra-modern garden project built on three levels, showcasing futuristic materials and technology. 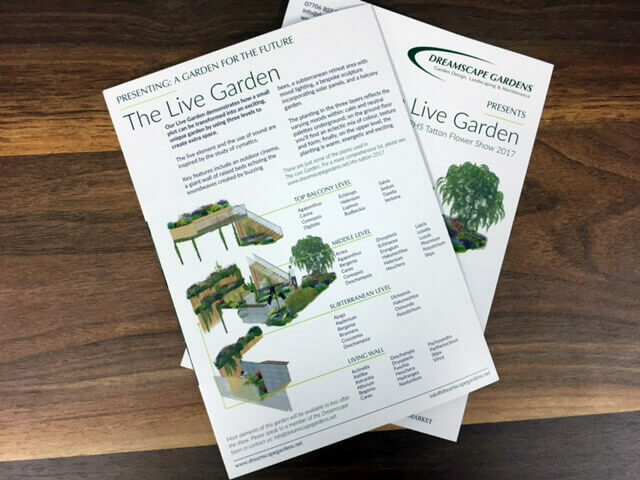 We set about designing the accompanying brochure to accompany this ultra-modern garden with a slick, modern layout with good images and well laid out text.